North Belfast Harriers had a very successful evening in Greyabbey on the shores of Strangford Lough. SaraJane McFadden, yet again, displayed her incredible form in the Greyabbey 5km being the first lady home in 19:28 and 8th overall finisher. Close on her heels was club mate, David Kennedy in 9th position and Jason Reid in 16th place. 128 ran the 5km course 208 runners took to the roads to compete in the 10km race. Another fantastic run for Joe Malone saw him securing second place in the 34:32. Colin Willetts ran the 10km distance in 37:14. Congratulations to all who ran the 5k and 10k races. Eimear Nugent was the only NBH runner to take part in the Great Rossa Run Half Marathon. She completed the course in 2:18:22. The HM course advertises itself as a quick, enjoyable and relatively flat course with a short sharp hill and one steady incline. It boasts of the wonderful scenery with vistas of Lough Neagh and the Old Cross with ice baths and recovery massages available to all 235 finishers. Well done, Eimear. 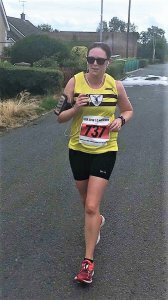 Helen Weir was the sole NBH representative among the 300 who took part in the inaugural Marathon / Half Marathon on the Donegal Wild Atlantic Way. Helen was 32nd overall and 6th lady home in the Half Marathon. She was completed the distance in 1hr 41.54. Participants from all over the world took to the marathon start line in Killybegs. Due to the warm weather the marathon and relay started at 7am. Athletes ran on coastal roads from Killybegs, Kilcar, Carrick, Malin Mor, Malin Beag and finished at the Folk Village in Glencolmcille. 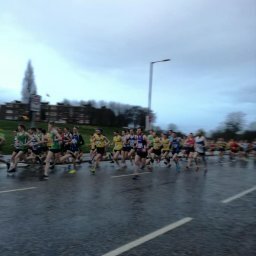 The Half Marathon started 1 mile on the Glen side of Carrick. It turned at Meenavean through wild open countryside, passing Lough Auva. Runners enjoyed a long descent into Malin with more with views of the Atlantic Ocean followed by a stunning run up the coastline to the turning point at Silver Strand beach which is often voted as one of the most beautiful beaches in the world. From here the course followed the Atlantic all the way to the finish at the Glencolmcille Folk Village. The Half Marathon started at 9am and followed the Marathon route so that all finished together at the folk village just between the thatched cottages and the beach. The course had more climbing than the Ards HM but less than Rathlin! The total climb was 860ft so it was not a flat course! Congratulations to Helen on yet another amazing run. 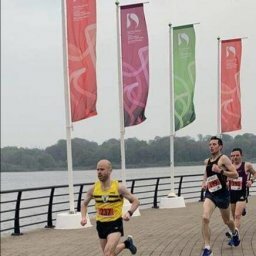 As ever North Belfast Harriers ran the length and breadth of the country. 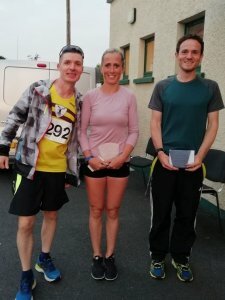 This week saw 3 of our runners secure first place; Martsje Hell in 19:08 in Wallace, Kent Swann in 18:16 in Falls parkrun and John Murphy in 19:32 in Falcarragh, Donegal. Both this week and last week NBH was represented in Milano Nord in Itlay. 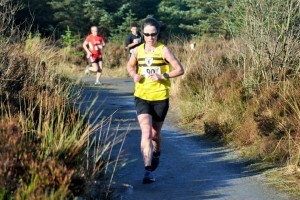 68 Joanne MCALLISTER 25:41 New PB! 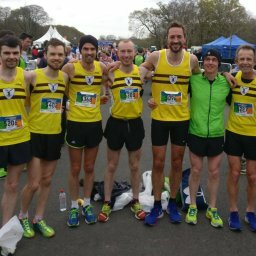 79 Lynn MCKENNA 26:33 New PB! 85 Karlene GRAHAM 26:52 New PB! 1 Kent SWANN 18:16 FIRST! 1 Martsje Hell 19:08 FIRST! 1 John Gerard MURPHY 19:32 FIRST!